In the early 1900's, Napoleon "Paul" Levesque, an overseer at the Naumkeag Mills of Salem, began working part time with several area 'undertakers.' By 1910 he left the mills and began his own business in a storefront on Prince Street. In June of 1914 the Great Salem Fire destroyed a great part of Salem, including the original funeral home, taking every property down to the waterfront. In 1915 he bought several parcels of land on Harbor Street. On one parcel he built a building which would house the funeral business and the family residence. During the twenties and thirties, he was joined in the business by his son-in-law Milton H. "Steve" Dubord and his son Philip P. Levesque. Together they ran the business until the death of Steve and of Napoleon. Philip ran the business with his associate Charles Banville until the grandson Paul P. Levesque joined the firm. In 1968 the company bought the current property and began operating in the new facility in October 1969. 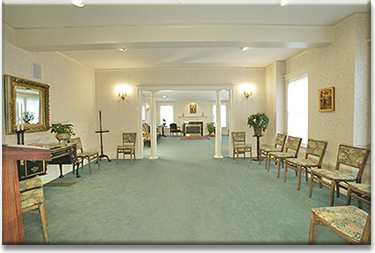 In 1992 an addition was constructed to provide the ADA requirements as well as create a more spacious homelike atmosphere for funeral services.